For many years, this page featured links to Kirsty-related information online. When I went to tidy these up in mid-2005, I found that virtually all of them had expired. Since Freeworld is so comprehensive and includes lots of useful links already, there doesn't seem any immediate point in maintaining a list which would quite literally have about five items on it. 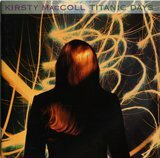 The other key site that must be mentioned is, of course, Justice For Kirsty.